This is an homage to the Edvard Munch painting The Scream. We can now understand why the mystery figure is alarmed. He is suddenly shocked by the presence of a bossy Dachshund. This is the cause of the Scream! The scene will appeal as both artistic and funny. 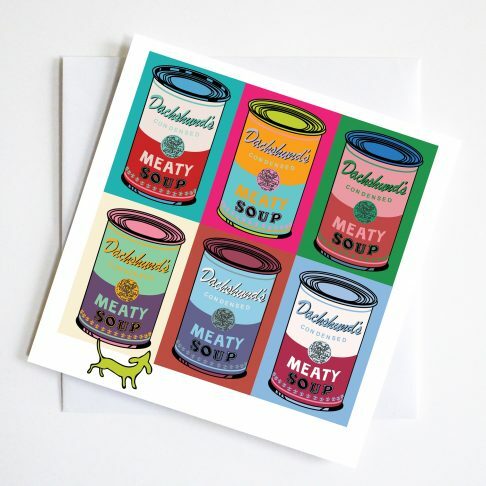 This is the perfect greetings card to send for so many occasions. 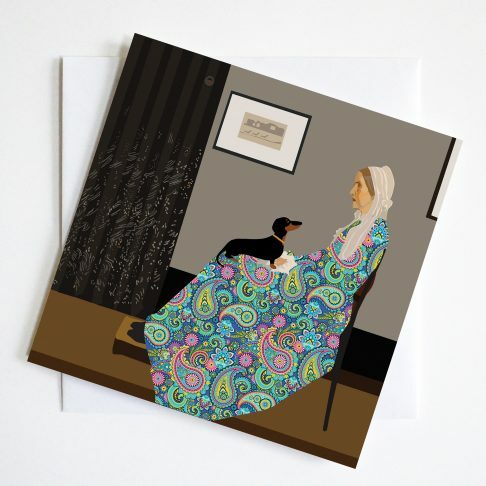 Our lives are often so full of shock horror which require a card of humorous sympathy. 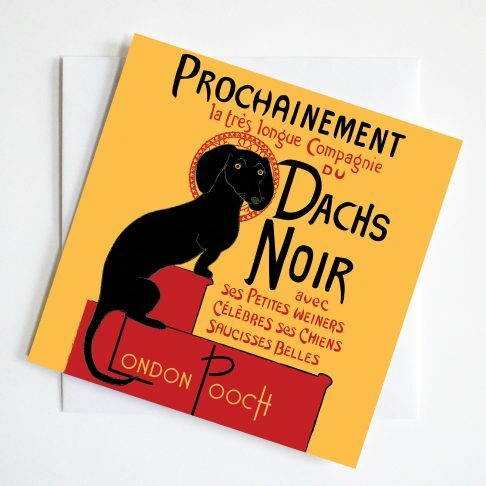 A parody of a perfect famous moment undermined by the presence of dachshunds. 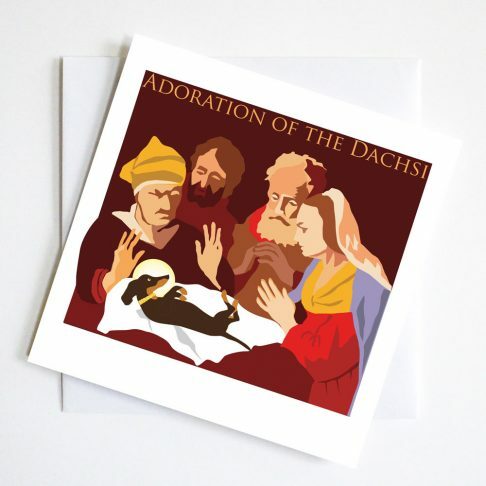 Card size 144 x 144mm each packed in a biodegradable cello bag with a white envelope. 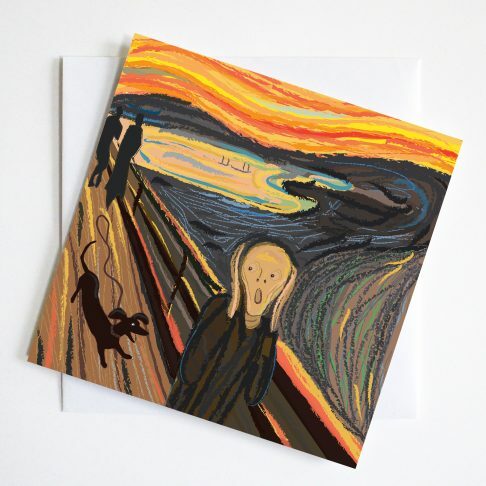 This is an homage to the Edvard Munch painting The Scream. Dachsmunch Scream.